One of my favorite dessert fillings to can for either my family or to give as gifts to friends, I think this applie pie filling will quickly become a seasonal favorite of yours as well. 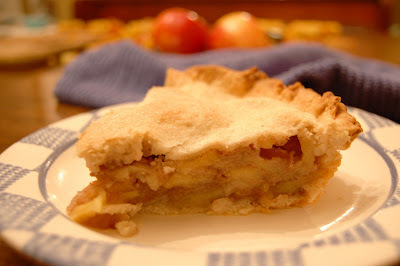 The most crucial step to making this apple pie filling is preparation of the apples beforehand. 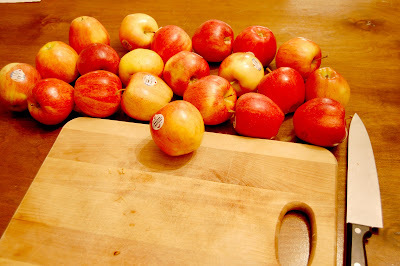 I will use almost any apple, except Red Delicious since I find them too bland for pie making, but I prefer Galas if I can find them at an inexpensive price. All the other ingredients you should be able to find in your pantry and spice cabinet. 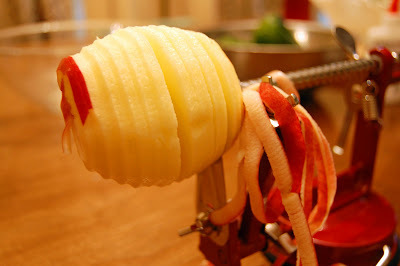 If I could tell you to go out and purchase one thing for this recipe, it would be a apple corer/peeler/slicer. You can purchase them from Target (where I purchased mine) for around $20. The device I bought is heavy duty and easy to clean. 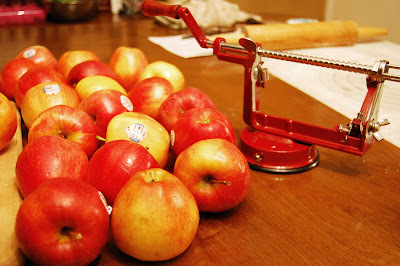 If you will spend the $20 it takes to purchase an apple corer/peeler/slicer, you will save yourself frustration and impatience, not to mention loss time when it comes to preparing the apples. 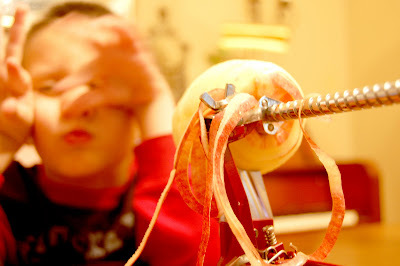 My children love the strings of apple peels the device creates and love to eat them while they watch me make the pies and pie filling. If you have a little lemon juice or vitamin C powder (you can purchase this at a health food store), then I recommend you add a little to 2 quarts of water to soak the cored/peeled/sliced apples in as you are preparing the filling (1/4 cup of lemon juice OR 1 tsp vitamin C powder). Set prepared apples aside and soak in lemon juice or vitamin C infused water. Mix together the remaining ingredients in a large pot and slowly bring to a boil stirring frequently. Once the mixture comes to a boil and thickens, remove from heat. 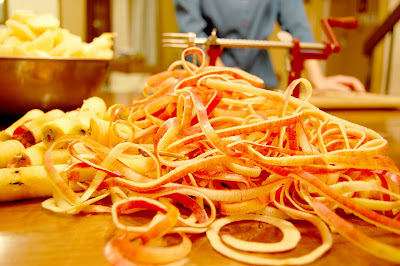 Drain prepared apples and pack into 6-7 quart size OR 12-14 pint size clean and sterilized canning jars. 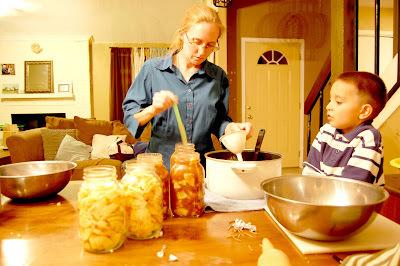 Immediately with either a wooden or plastic knife or spatula begin adding the thickened mixture to the apple filled jars. You will have to use the knife to get the thickened mixture down into the jars. Fill to one-inch from the top. Dont worry if you spill a little, you can always use a clean, wet cloth to wipe up any that has dripped. Repeat for each jar. Note: Do not use a metal knife or spatula as this can cause breakage during processing. Wipe rims and threads of jars. Place hot lids on canning jars and tighten with a hot band to finger tight. 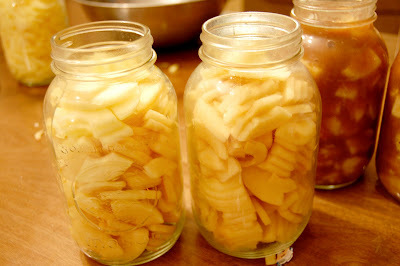 Process in a water bath canner for 15 minutes for pint jars or 20 minutes for quart jars. Once you have removed the jars from the water bath canner and allowed them to cool, check that lids have sealed. If they have, you can remove the band if you are storing for your own use or you can remove the band, place a pretty square cloth on top, then refasten with the band for gift giving. I recommend you use my crust that I use with my pecan pie. These easy to make “pies” are sure to satisfy your sweet tooth. Technically a turnover, only 2 ingredients are needed to make the shell and then they are filled with a spoonful of your favoring filling or jelly. 1/3 cup of your choice of filling such as pie filling, jelly, pudding, et cetera. In a medium mixing bowl, mix by hand using a spoon the Bisquick and milk. Turn onto floured surface and knead until the dough is smooth and ingredients are completely mixed together. 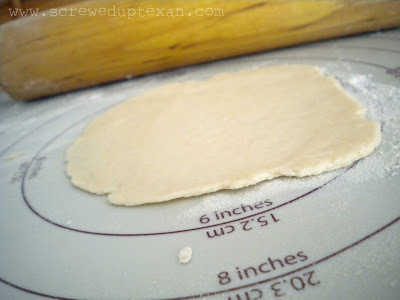 Divide dough into 8 even sections. Using the palm of your hand, flatten a section of dough onto lightly floured surface. 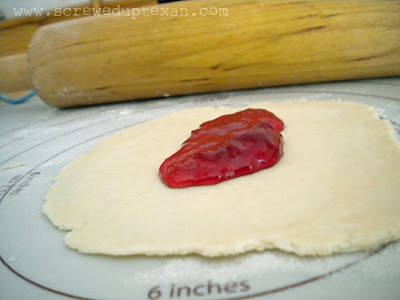 Using a lightly floured rolling pin, roll the dough as you would for pie into a 5 inch circle. 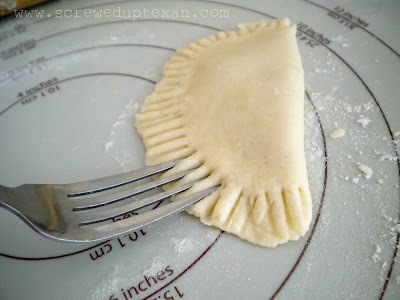 Place a tablespoon or so of filling in the middle of the flattened circle. Fold in half. 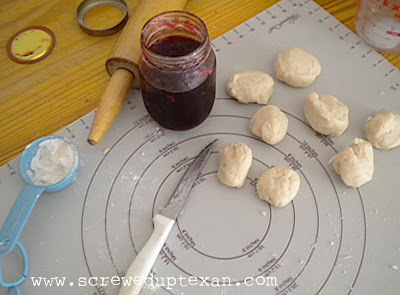 With a dinner fork, press the side of the dough together. Turn the pie over and repeat. 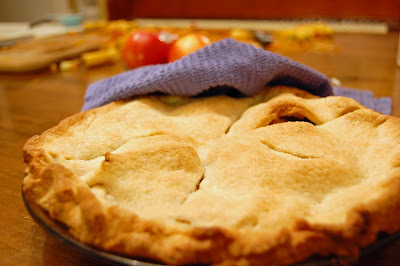 Carefully place “pie” into an electric skillet filled with 1/2 inch to one inch of cooking oil or melted fat that has been heated to 200 F. Cook for 2 to 3 minutes on each side or until sides are golden brown. 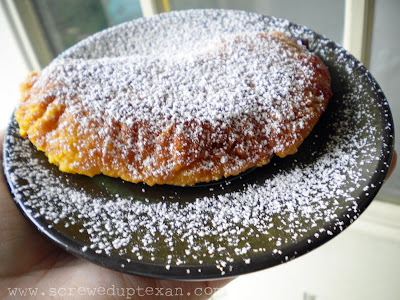 After fried pies have been removed from fat, place on paper towels to absorb excess fat. Sprinkle with powdered sugar if desired. 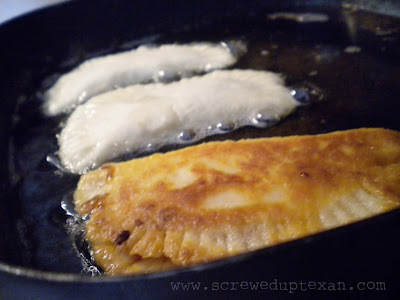 Makes eight fried pies (turnovers).